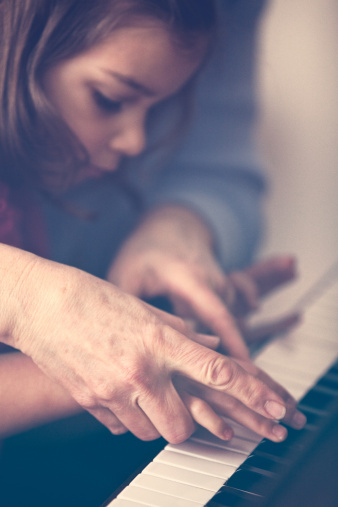 In the study conducted, it was discovered that children who took weekly piano lessons for at least 9 months generated an increase of nearly 3 points in their IQ compared to their untrained counterparts and peers. This supports the idea that there is more to musical training than meets the eye. It is believed that piano lessons and other forms of musical training help exercise parts of the brain that are often used in solving mathetical equations and other intellectual pursuits in education. While teaching music lessons to young children can be utterly rewarding, unique challenges can often arise. * Make the learning process as fun as possible. This is incredibly important. your advantage by assigning colors to keys or notes with stickers for faster recollection. 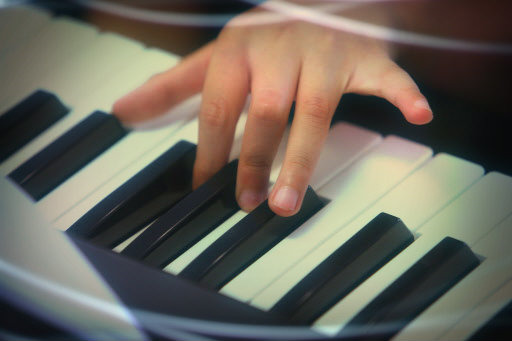 * Regardless if you will be using an upright piano or an electric keyboard, it will be advantageous if you play around with the idea of putting colored stickers on the keys to help kids make stronger associations. This is especially helpful for children who have a tendency to be visual. Again, faster recollection is key. * Find a way to build rapport with your young students. * Presenting piano lessons with a sense of fun and adventure is one effective way to foster teacher-student rapport. Also, keep in mind that each child is an individual and will likely respond to different things. No two students will learn the same, or at the same pace. Your goal should include finding out what sparks their interest and use it to for their advantage. * Take their motor skills into consideration. Kids who are barely out of toddlerhood are most likely still working on their motor skills coordination. In line with this, it would be wise to work on the finger coordination first prior to teaching them how to read notes. * Patience is a key element when teaching young students to play the piano, or any musical instrument for that matter. Understandably, teaching young children can be challenging at times. However, as long as you are willing find ways and means to make things fun and easy, you will both be rewarded with a truly gratifying and enjoyable experience within the world of music.